Future users of Oculus VR's Rift headset could use their hands to control virtual reality games, or visit a 3D model of the Roman Colosseum, thanks to two acquisitions the company made this week. Facebook-owned Oculus VR has bought Nimble VR and 13th Lab, which specialize in hand tracking and 3D modelling, the company said in a blog post on Thursday. U.S. company Nimble VR has been working on letting people use their hands in virtual worlds. Until now, Nimble was working on a product called Sense, which would sit on top of Oculus' headset. With the help of laser technology Sense can create an infrared image of the world, and track the location and joint angle of each finger. That makes it possible to control virtual objects and user interfaces without gloves or controllers, according to Nimble. As a result of the acquisition, Nimble cancelled its Kickstarter crowdfunding project for Sense, a move that disappointed some backers. But the promise of making the tracking an integrated part of Oculus Rift could in the end be even better. For now, Oculus is only saying Nimble's technology has the "potential to be part of a great VR user experience." Swedish company 13th Lab's technology can be used to create accurate 3D models of the world. 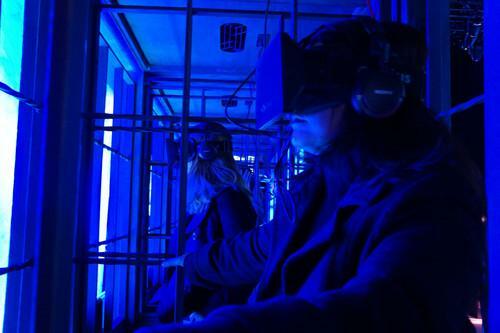 It too can enable all sorts of new applications and experiences, such as visiting a one-to-one 3D model of the pyramids in Egypt or the Roman Colosseum, according to Oculus. The technology can also be used to recognize and track 2D images. The financial details of the acquisitions were not announced. On Thursday, Oculus also announced it had hired motion capture expert Chris Bregler, who will head a vision research team for Oculus. Motion capture is a way to record human movements and map them onto a digital model. Bregler has spent the last 11 years as a professor of Computer Science at New York University, and recently worked on movies like Star Trek Into Darkness, according to Oculus. The Oculus Rift headset still doesn't have a firm release date. Users who want to get their hands on the technology now can either buy the Oculus Rift Development Kit 2 or the Samsung Gear VR Innovator Edition, which started shipping this week in the U.S.